We welcomed back Dr. Mike Gruntman for this special two segment 1 hour 28 minute program. We started the discussion with Dr. Gruntman talking with us about the first spaceport, the Soviet Union launch site that for classified security reasons was initially identified as Baikonur but was really a the Tyuratam Missile Range not so far away. Dr. Gruntman has written the history of this first ever spaceport in an academic paper published in Acta Astronautica by Elsevier. Dr. Gruntman published the link to his long paper on the blog for this show which you can download for free until May 7. After that it will be behind a paywall so I urge you to download it for free at this time. It’s a great read and I strongly urge you to read and learn about this history. 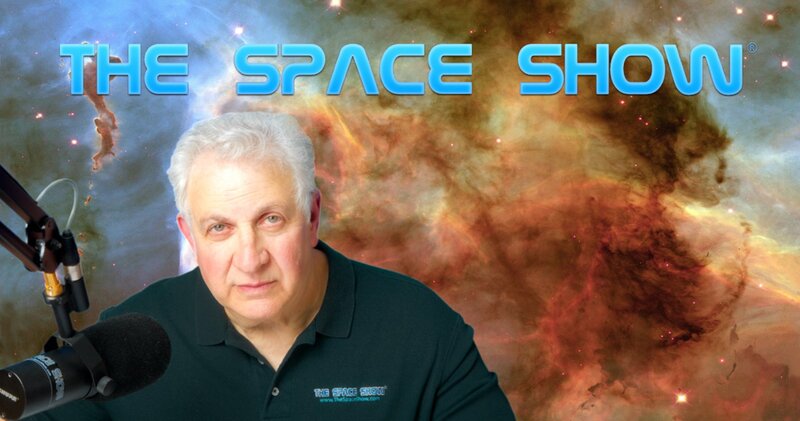 Dr. Gruntman talked with us about the security behind the Soviet Union spaceport, the purpose behind the deliberate misidentification as Baikonur, plus the US finding out about the site through U2 spy plane flights in 1957. The history was most interesting so don't miss what he said. Since early Soviet Union ICBM R-7 rocketry was involved, lots of Soviet Union national security was in place but listen to what Mike said about US intelligence wanting to keep the location and information classified in the US. It was also noteworthy listening to the important accomplishments carried out by the Soviet Union from this launch site including Sputnik, the Yuri Gagarin flight and more. Listener Ted sent Mike an email asking for clarity regarding Baikonur as a launch site, a city or what. Mike spent some time talking about the launches from the Tyuratam Missile Range plus the ICBM testing there, then the shift for other flights from the Baikonur part of the Missile Range eventually being identified as the Baikonur Cosmodrome, plus the actual town named Baikonur some 300 km away from the rocket area. Again, don't miss what Mike said about this area, the rockets, rocket testing, and the later human spaceflight launches from the area. Mike made a comment about his recently having visited the area as a tourist. This prompted a listener question asking about tourism to the Cosmodrome. Mike explained the protocol on being a tourists, the guided tours available (all visitors are on an approved tour) plus we learned that tours are coordinated with the human spaceflight launch schedule so that the visitors can see a manned spaceflight launch. Mike then said that there was a new and different area for ICBM usage and testing today which was not in Kazakhstan. Keep in mind that Tyuratam and Baikonur are in the Kazakhstan region with Russia leasing part of the area for their rocket launches and related programing. In addition, the human spaceflight and related launches are now under control of the commercial company Roscosmos. Again, the ICBM launches and programs are in a different location such as Novosibirsk although Russian ICBMs are spread out over different parts of the country. In talking about the history of the area, Mike also talked about the old Soviet Union copy of the space shuttle, the Buran. He mentioned the test flight in the context of Buran's brief history with Baikonur. Before the segment ended, Mike was asked about the interest in the area, seeing a launch and space in general by the Russian people now and in the days of the Soviet Union. Don't miss what Mike had to say about this, especially from the Soviet Union days. I then brought up a question usually asked by our friend form Sweden regarding the Russians having a nuclear powered cruise missile. Mike did talk about this but the bottom line was that if it existed, it would be very hard to make it operational compared to say having a demo test. In addition, he said people claiming to know about it probably don't know about it and suggested that it would be so heavily classified that real facts about it would not be public so be skeptical about what you hear or read about it. He said while it might be technically possible to make such a missile, it would be a huge step to go from a demo to an operational weapons system. Don't miss all of what our guest said in response to my asking about this potential weapon. Marshall called wanting to know about the Russian attitude toward the Chinese and their space program. As you will hear Mike say, it’s a complex attitude and Mike's answer was complex. Don't miss it. Lots of concerns and issues interact with one another between Russian and China. He did say that China manned technology was roughly equal to decades old Russian manned technology but that China does have good hardware technology. The difference in the population of China compared to Russia concerns Russia as well. He said that at least for now, Russia does not consider China a competitor but they are playing catch-up and that was a concern for Russia. In the second segment, we talked about aerospace education. Mike said that there were now around 70 aerospace educational departments in the country. He talked about masters degree programs and awards and the difference he has detected with aerospace engineering students compared to mainstream engineering students. I asked about the impact on aerospace education by Musk, Bezos, SpaceX, Blue Origin and the administration's goals of returning to the Moon. He talked about all of these influences but focused on Musk and SpaceX. He said all were inspirational but that Musk was a true driver for the education and passion in the industry. He had much to say about Mr. Musk and his behavior and how it drove the passion of students as they see Musk as being cool and doing cool things. Don't miss this discussion. It was not just interesting but informative and in many ways, enlightening! Mike talked about USC graduates going to SpaceX and Blue origin. I asked about JPL but he said JPL was more science driven and USC was more oriented toward engineering. That said, he did tell us about students going to JPL and many of the other NASA centers around the country. Before the program ended, Mike was asked about the plans that seem to be developing to go back to the Moon by 2024. Mike said he was a Moon guy and told us why. He strongly suggested the Moon was needed to go safely to Mars. Talking about safety, Mike added in the importance of human spaceflight safety and told how USC was starting a spaceflight safety program. He then said the Mars risks would be more so going to the Moon first was essential. As for the 2025 time table, he said a solid plan would be needed and much more would need to be known about the funding, the administration, the actual policy, and those in charge of implementing it. He suggested the Gateway was not the best way of getting there but depending how the Gateway was used, it could be an important part of needed lunar infrastructure. Before we ended our discussion, listener Jerry asked about Mike's term as chair of the department which he had said earlier would end in 2019. Mike talked about the administration of the department and then talked about the interest in space and spaceports around the world. He mentioned Brazil, Australia and other locals. He concluded by talking about the upcoming IAF Convention in Washington, DC in the fall f this year and the AIAA as the organizer for that event. Please post your comments/questions on TSS blog for this program. You can reach Dr. Gruntman through his article, his USC faculty website or through me. establishment of the first space port of planet Earth and its naming Tyuratam Missile Range and Cosmodrome Baikonur.